In this resource students will work on their ability to interpret primary sources. 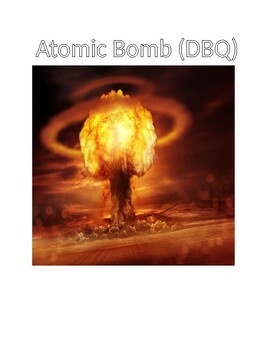 The primary source they will be looking at in this DBQ is President Harry S. Truman and him defending his decision to drop the atomic bombs on Japan. 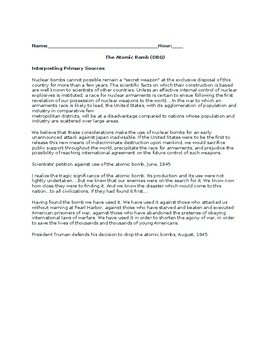 * Great resource for covering the controversial topic on whether Truman should or shouldn't have used the atom bombs during WWII. * Great resource to use to bring closure to a WWII unit.